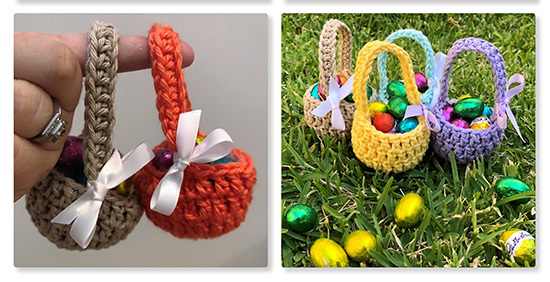 With Easter only a hop, skip and a jump away we would like to share with you all a free pattern on how to crochet these mini Easter egg baskets? 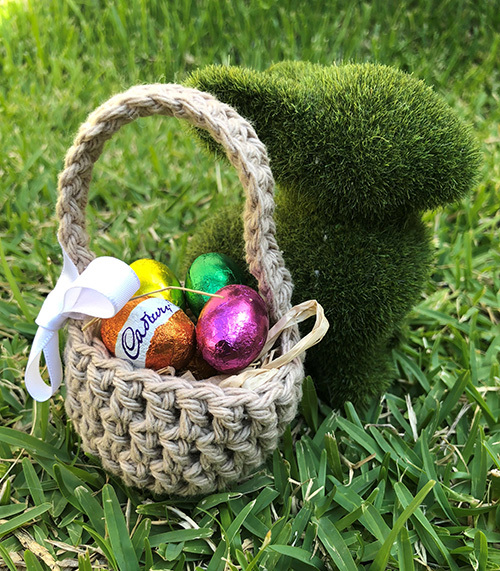 The basket themselves can fit about 6 mini chocolate eggs inside or if your children don’t like choccy you could fill them with treasures of all sorts. 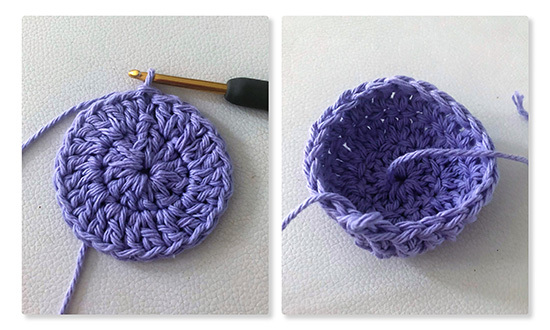 This little project should take you roughly 20 or so minutes to make depending on your crochet skill level and speed. 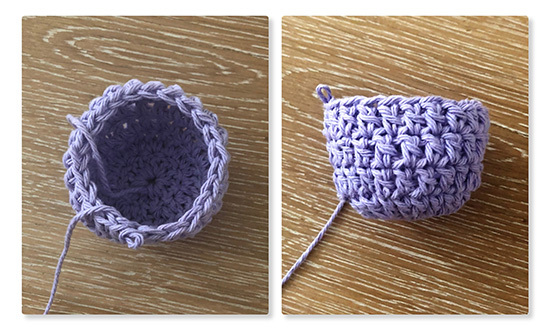 You could whip up a few baskets as we have done in many different colourways using the beautiful and very durable Lily Sugar n Cream.These mini baskets will make a great addition to add to your little ones Easter surprises. The hardest part of this project is only stopping at a few and of course the very important question, which colour will you choose? Now to hide the chocolate eggs from my kids and myself before Easter arrives. 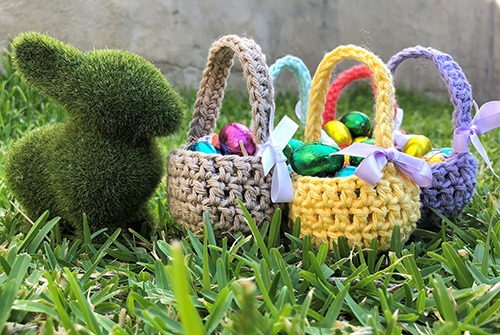 So, get hopping and Happy Easter from all of us at American Yarns. 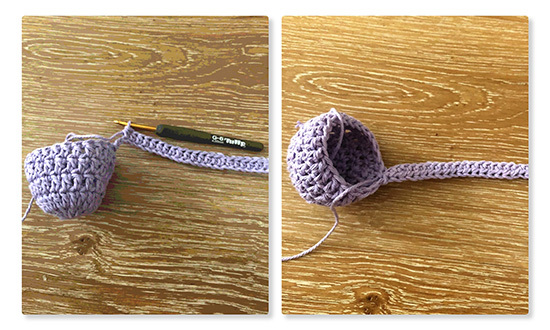 4mm crochet hook and darning needle. 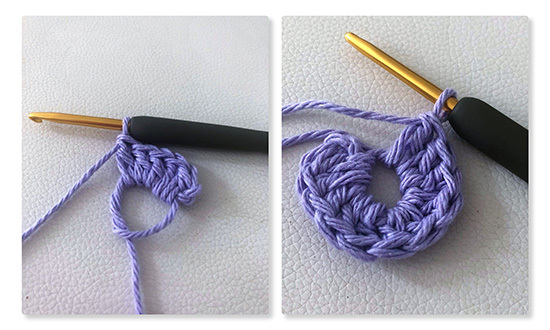 Yarn: we recommend using the durableLily Sugar n Cream. Decorative hint: You could tie a small ribbon on the side where you have sewed the handle to the basket to hide any untidy stitches. 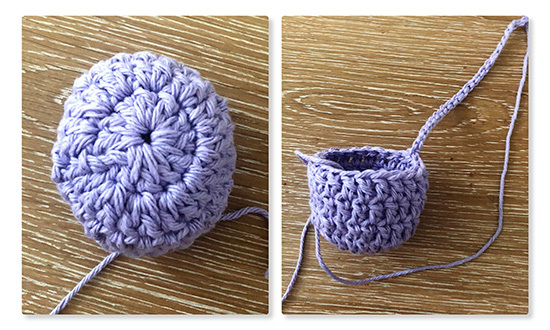 **The size for these mini baskets can be altered depending on the size you want by adding more rows to the body of the basket. along the chain until you have 24 HDC, SL ST back into top off the basket to attach it firmly. Do not finish off, we are going to CH x 25, then, HDC into 2nd ST and repeat back along the chain until you have 24 HDC, SL ST back into top off basket to attach it firmly. 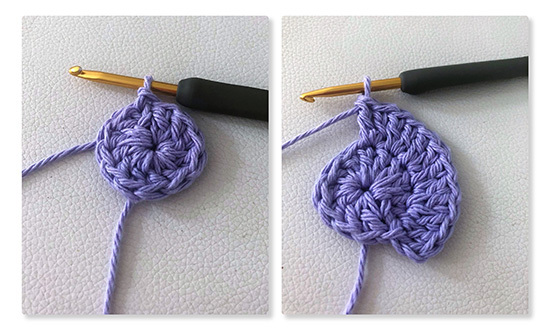 This entry was posted in Crochet patterns. Bookmark the permalink. Click the link to go directly to Red Heart Free patterns. www.redheart.com Discover your free pattern and then order your yarn directly from us, if we do not stock it, send us an email and we will order it directly and advise you when it arrives into stock.